There is nothing more beautiful than to walk down your street and see all the colorful hanging gardens on your neighbors porches. Hanging container gardens are available in a wide range of shapes, sizes, textures and colors… the possibilities are endless! Whether you fancy a splash of color, drought tolerant varieties or the southern staples, we have you covered! It’s important to select the right plant for the right spot. 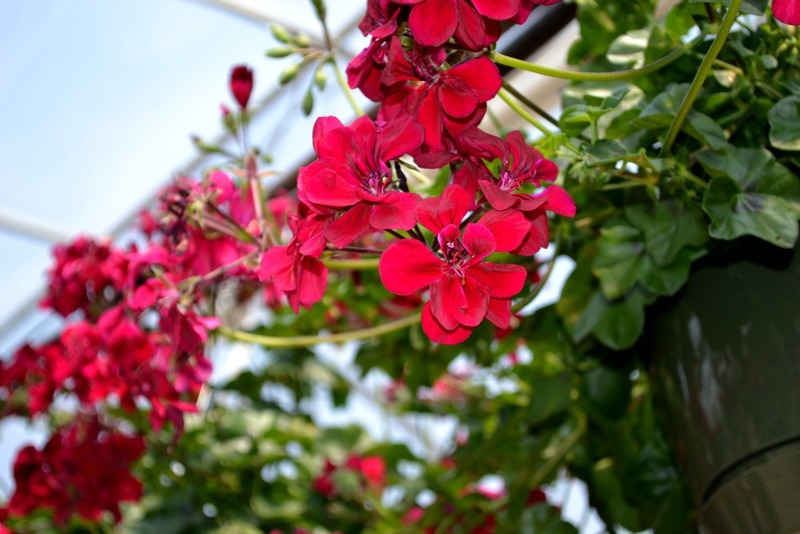 Monitor the area in which you plan to hang your hanging basket closely to see how much the sun shines in your spot. Some plants can tolerate much more sunlight than others. Some are made for the shade. Some annual hanging baskets will prefer more water throughout the season than others. Water baskets thoroughly, until water drains out the bottom. As the summer heat approaches you may have to water every day. You can tell if your plant needs water by the weight of the basket. 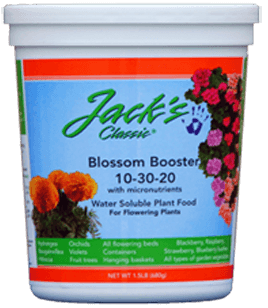 During the growing season, fertilize once a week with a high middle number fertilizer (such as Jack’s Bloom Booster) for more prolific blooms. The growth habit of a plant refers to the shape, height, appearance, and form of growth of a particular species. Every plant species has a different growth habit. 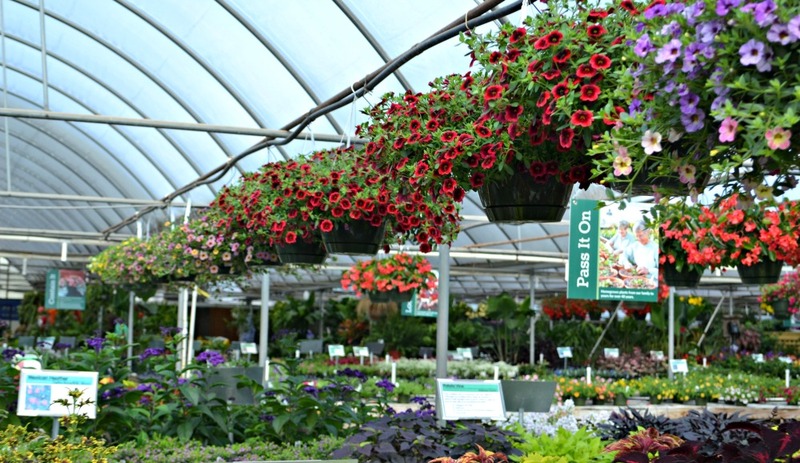 Most of the plants we grow in hanging baskets are considered trailing plants, meaning they will continue to grow out and down, creating a full basket and covering the pot. 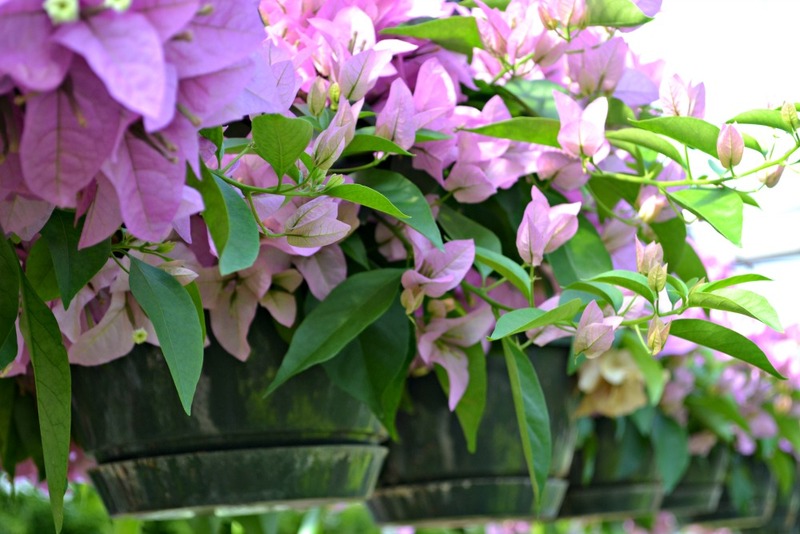 However, we also offer hanging basket filled with vines, mixed plant combinations and upright growing plant varieties. Be sure to choose the right plant to add the right height, texture and color to your perfect spot. Just tell us what you’re looking for and we’ll guide in the right direction! Sign up for deals on plants and supplies, Fairview news, and gardening tips! © 2019 Fairview Garden Center, All Rights Reserved.